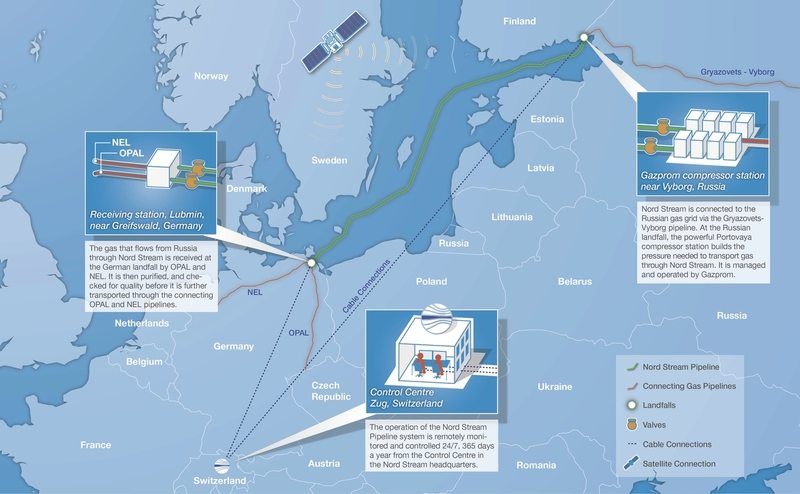 Nord Stream operates pipeline facilities at the landfalls in Russia and Germany where the offshore pipeline ties in to the onshore connecting pipelines. The landfall facilities are connected via dedicated telecommunication lines and satellite uplink to the Control Centre located in Zug, Switzerland. From this location the pipelines are controlled and monitored around the clock.